Koke Mill was on Spring Creek, near the present-day Koke Mill Road crossing. Burns sold the operation along with other property for $5,000 to Anne Burton in 1861, and Burton sold the mill site a year later to William Keefer. After 30 years of operation, the mill was purchased by the individual whose name would remain associated with the historic mill site long after its abandonment. On May 10, 1866, William Keefer sold the mill to William Koke for $800. Koke ran the mill independently for a time, then leased the business. He sold the property in about 1900 to the DuPont Powder Company, and the mill burned in 1903. Like Carpenter’s Mill on the Sangamon River, the site of Koke Mill became a popular picnic and fishing spot. This entry was posted in Business, Industry, Mills, Prominent figures and tagged Donner Party, James F. Reed. Bookmark the permalink. Thank you for the article on the Koke Mill. That was my great-grandfather Koke that owned it. I believe he may have owned it, sold it, and bought it once again, and then sold it again. I have some articles and such around somewhere. I have an old old picture of him also. This was my great great grandfather’s. 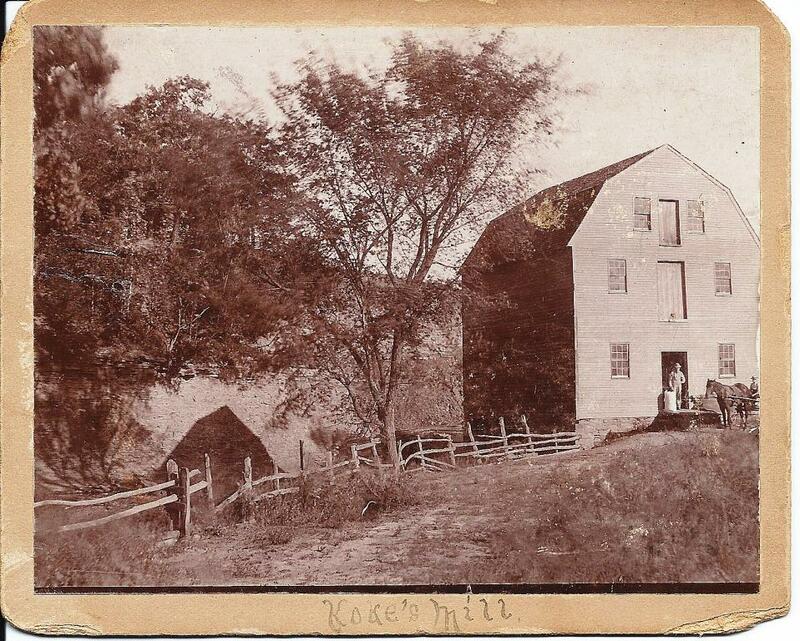 We have a picture of the mill at home. Always great pride in the family on this history. It was exciting to find this article. It’s exciting to have another reader too. Thanks for the note.